If you’re one of the 70 million Americans who suffer from some type of sleep disorder, your life can be affected in many ways. Snoring, insomnia, walking around tired are all symptoms of sleep disorders and are associated with serious health issues. They are not just inconveniences but sleep issues are dangerous if they are left untreated. At Premier Sleep Center, we go that extra mile for our patients. 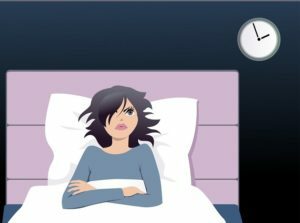 Diagnosing and treating all sleep disorders. Our goal is to treat your sleep issues and to get you waking up refreshed, healthier and improving your quality of life. Sleep Obstructive Apnea (OSA), Insomnia, Parasomnias, Narcolepsy, Sleep Working...Read more about common sleep issues that may be affecting your life. Designed for Long Island's Businesses and their Employees. -diagnosis and treatment of your sleep issues. -education on sleep disorder to better understand your sleep problem. -extensive support/consulting from our Sleep Team. -an individualized Treatment Plan that best fits your needs. If you are having problems with sleep, make a consultation today by calling us at 516-593-9500. You will be amazed at how much healthier and better your life will be once you are treated. Do you need an afternoon nap?